Following their impressively varied Main Slate section and Projections lineup, the full slate for Retrospective and Revivals at the 56th New York Film Festival have been announced. After last year’s Robert Mitchum retrospective, this year’s edition is split into three parts, paying tributing to the late Dan Talbot and Pierre Rissient, as well as spotlighting a trio of documentaries that delve into cinema history. “For Pierre and Dan, two genuine heroes, everything to do with cinema was urgent. This year’s retrospective section pays tribute to both men, who passed away within six months of each other,” NYFF Director and Selection Committee Chair Kent Jones said. Talbot, founder of New Yorker Films and longtime director of Lincoln Plaza Cinemas, will be honored with personal favorites from Bernardo Bertolucci, Straub-Huillet, Nagisa Oshima, Jean-Luc Godard, Rainer Werner Fassbinder, and more. Meanwhile, producer, publicist, distributor, curator, and cinema polymath Pierre Rissient’s section will feature works from Clint Eastwood, Joseph Losey, King Hu, Raoul Walsh, Fritz Lang, and more. Amongst the Revivals sections, a number of major new restorations will be presented, including Edgar G. Ulmer’s noir classic Detour, Djibril Diop Mambéty’s neocolonialist satire Hyenas, Alexei Guerman’s Khrustalyov, My Car!, Delmer Daves’ The Red House, and more. Check out the lineup of both sections exclusively below. This wildly passionate and visually beautiful love story from director Emilio Fernandéz and cinematographer Gabriel Figueroa, a follow-up to their wildly successful Maria Candelaria, remains one of the most popular Mexican films ever made. As Farran Smith Nehme has written, it was “one of the biggest hits of Fernández’s career and a high-water mark for nearly everyone involved.” The romance between between a revolutionary General (Pedro Armendariz) and the daughter of a nobleman (Maria Félix) set during the Mexican revolution (in which Fernandéz himself fought) was inspired by The Taming of the Shrew and, for the finale, by the end of Sternberg’s Morocco. Restoration led by UCLA Film & Television Archive and The Film Foundation’s World Cinema Project in collaboration with Fundacion Televisa AC and the UNAM Filmoteca, funded by Material World Charitable Foundation. “When a story ends—or ‘falls into the ocean,’ as we say—it creates dreams,” said the great Senegalese director Djibril Diop Mambéty in an interview after the completion of his second film, Hyenas, a wildly freeform adaptation of Friedrich Dürrenmatt’s The Visit. A wealthy woman (Ami Diakhate) returns to her—and Mambéty’s—home village, and offers the inhabitants a vast sum in exchange for the murder of the local man who seduced and abandoned her when she was young. “I do not refuse the word didactic,” said Mambéty of his very special body of work, and of the particular plight of African cinema. “My task was to identify the enemy of humankind: money, the International Monetary Fund, and the World Bank. I think my target is clear.” A Thelma Film AG release. Restored over the course of 2017 by Eclair Digital in Vanves, France. Restoration was taken on by Thelma Film AG (Switzerland). Mikhail Kalatozov’s wildly mobile, hallucinatory film was initially rejected by both Cuban and Soviet officials for excessive naiveté and an insufficiently revolutionary spirit, and went largely disregarded and almost unknown for nearly 30 years. That all changed in the early nineties—a remarkable era in film culture, chock full of rediscoveries—when G. Cabrera Infante programmed it at the Telluride Film Festival, and Martin Scorsese and Francis Ford Coppola co-presented a Milestone Films release. I Am Cuba is a one-of-a-kind film experience, a visually mind-bending bolt from the historical blue. Milestone Film & Video’s 4K restoration from the original Gosfilmofond 35mm interpositive and mag tracks was done at Metropolis Post with Jason Crump (colorist) and Ian Bostick (restoration artist). 4K scan by Colorlab, Rockville, MD. Khrustalyov, My Car! / Khrustalyov, mashinu! The time is 1953, the place is Moscow; the Jewish purges are still on, and Stalin is on his deathbed. When General Yuri Glinsky, a military surgeon, tries to escape, he is abducted, taken to the lowest rungs of hell, and deposited at the heart of the enigma. Alexei Guerman’s deeply personal penultimate film is a work of solid and constant disorientation, masterfully orchestrated. Enigmatic phrases, sounds, gestures, and micro-events pass before our eyes and ears before we or the alternately jumpy and exhausted characters can make sense of them. Guerman’s lustrous black and white images and meticulously constructed soundscape are permeated with the feel of life in a totalitarian society, where something monumental is underway but no one knows precisely what or when or how it will break. The original 35mm fine grain positive was scanned in 2K resolution on an Arriscan at Eclair, Paris. The film was graded and restored at Dragon DI, Wales. Restoration supervised by James White, Arrow Films; restoration produced by Daniel Bird. One of the first color films made in Italy, Ettore Giannini’s 1954 film version of his stage musical begins in the present day, with sheet music hanging on a barrel organ blown through the streets of Naples: every individual song tells a story of the history of the city, from the Moorish invasion in the 14th century through the arrival of the Americans at the end of WWII. Giannini assembled an amazing roster of talent for his film, including one-time Ballets Russes principal dancer and Powell-Pressburger mainstay Léonide Massine (who also choreographed), the great comic actor Paolo Stoppa, and a young Sophia Loren. Restored by the Cineteca di Bologna at L’Immagine Ritrovata laboratory and The Film Foundation with funding provided by the Hollywood Foreign Press Association. The Hungarian emigré André de Toth directed this unflinching look at the rise of Nazism right before the end of the war, the first Hollywood film to address Nazi genocide. Written by Lester Cole, soon to become a member of the Hollywood Ten, None Shall Escape is structured as a series of flashbacks that dramatize the testimony of witnesses in a near-future postwar tribunal. Alexander Knox is the German everyman, a WWI vet who slowly, gradually accepts National Socialism and becomes a mass murderer. With Marsha Hunt—her career and Knox’s would both be affected by the Red Scare. A Sony Pictures Repertory release. 4K digital restoration from original nitrate negative and original nitrate track negative. This moody, visually potent film, directed by Delmer Daves and independently produced by star Edward G. Robinson with Sol Lesser, is something of an anomaly in late ’40s moviemaking, a piece of contemporary gothic Americana. Robinson plays Pete, a farmer who shares his home with his sister (Judith Anderson) and his adopted niece Meg (Allene Roberts). Meg becomes increasingly attached to a sweet local boy (Lon McAllister), and together they venture into the woods in search of a red house that Pete has forbidden them to enter. The emotional heart of The Red House can be found in the extraordinary close-ups of Roberts and McAllister, shot by the great DP (and frequent John Ford collaborator) Bert Glennon. J.L. Anderson’s haunted Appalachian romance occupies a proud place alongside such similarly hand-crafted, off-the-grid American independent films as Carnival of Souls, The Exiles, Night of the Living Dead, and Wanda. Made in coal-mining country in northeastern Ohio with local amateur actors, the film is carefully observed (Anderson and his producer Franklin Miller spent two years scouting locations becoming familiar with the place and the people) and beautifully and lovingly realized. Spring Night, Summer Night has had an extremely checkered history, including a release in a version crudely recut for the exploitation market with the title Miss Jessica Is Pregnant. It was invited to the 1968 New York Film Festival, only to be unceremoniously bumped to make way for John Cassavetes’s Faces. Fifty years later, we’re re-extending the invitation and promising that it’s solid. Ronald Neame’s adaptation of James Kennaway’s novel is a spare, dramatically potent war of nerves, about the power struggle between a tough lower-middle-class Scottish Major due to be replaced as Battalion commander of a Highland regiment and an aristocratic Colonel traumatized by captivity during the war. At its center are two breathtaking performances: John Mills as the Colonel and Alec Guinness, in a genuine tour de force, as the Major (apparently, after they had read the script, each actor had originally wanted to play the other’s role). With Dennis Price, Kay Walsh, Susannah York, and Gordon Jackson. This meticulously constructed 1979 film recounts the development of the movement against the American war in Vietnam on the Madison campus of the University of Wisconsin, from 1963 to 1970. Using carefully assembled archival and news footage and thoughtful interviews with many of the participants, it culminates in the 1967 Dow Chemical sit-in and the bombing of the Army Math Research Center three years later. One of the great works of American documentary moviemaking, The War at Home has also become a time capsule of the moment of its own making, a welcome emanation from the era of analog editing, and a reminder of how much power people have when they take to the streets in protest. A Catalyst Media Productions release. New 4K restoration by IndieCollect. Dan Talbot began as an exhibitor, and he started his distribution company, New Yorker Films, for the best possible reason: he saw a film that he loved and he wanted to share it with as many people as possible. The film was Bernardo Bertolucci’s masterful second feature, a deeply personal portrait of a generation gripped by political uncertainty. Set in the director’s hometown of Parma, it follows the travails of a young student struggling to reconcile his militant views with his bourgeois lifestyle (and his fiancée), who drifts into a passionate affair with his radical aunt. One of the key films of the ’60s, Before the Revolution set many aspiring filmmakers on their own autobiographical courses. 35mm print from Istituto Luce Cinecittà. New Yorker developed a close relationship with the filmmaker once known as “the Japanese Godard,” Nagisa Oshima, and they programmed a groundbreaking retrospective of his early films during their brief tenure at the Metro on 100th Street. This disarmingly atmospheric portrait of a family’s collective psychopathology recounts the saga of the Sakurada clan, whose decline plays out over the course of 25 years and multiple funerals and weddings. Operating at the height of his iconoclastic powers, Oshima renders the family’s unraveling with an arresting sense of foreboding and an air of gothic fatalism, enriched by Tôru Takemitsu’s quintessentially modernist score. “Dan jumped straight to the point,” wrote Toby in her book The New Yorker Theater and Other Scenes from a Life at the Movies. “‘I love your work and would like to distribute anything you make.’” Over the years, New Yorker handled many of Godard’s films, including his return to 35mm character-based storytelling after a decade of experimentation in video. What Godard called his “second first film” is a moving portrait of restless, intertwining lives, and the myriad forms of self-debasement and survival in a capitalist state, with Jacques Dutronc (as “Paul Godard”), Nathalie Baye, Isabelle Huppert, and, in an unforgettable anti-cameo, the voice of Marguerite Duras. An NYFF18 selection. Dan Talbot and New Yorker Films put the New German Cinema of the 1970s on the map in this country, and one of their key titles was Wim Wenders’s spellbinding adaptation of Patricia Highsmith’s Ripley’s Game (and a little bit of Ripley Underground). Dennis Hopper is the sociopathic charmer Tom Ripley, transformed by Wenders into an urban cowboy peddler of forged paintings who ensnares Bruno Ganz’s gravely ill Swiss-born art framer into a plot to assassinate a Mafioso. Shot in multiple New York and European locations in low-lit, cool blue and gold tones by the great Robby Müller, this brooding, dreamlike thriller conjures a world ruled by chaos and indiscriminate American dominance. It also features a stunning array of performances and guest appearances by filmmakers, including Nick Ray, Gérard Blain, Sam Fuller, Jean Eustache, Daniel Schmid, and Peter Lilienthal. An NYFF15 selection. “I bought 11 Fassbinders in one shot, like rugs,” Dan told Anthony Kaufman in a 2009 interview. As was the case with every New Yorker acquisition, the motive was not financial. 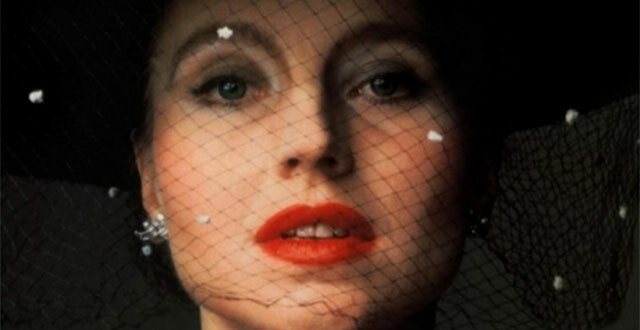 So one can imagine the surprise at their offices when this 1979 film about a poor German soldier’s wife (Hanna Schygulla) who uses her wiles and savvy to rise as a businesswoman and take part in the “wirtschaftwunder” or postwar economic miracle, became an arthouse hit—per François Truffaut, this was the movie that broke Fassbinder “out of the ivory tower of the cinephiles” and earned him the acclaim he had always sought. The Marriage of Maria Braun was also the Closing Night selection of the 17th New York Film Festival. When Dan read Wallace Shawn and André Gregory’s script for My Dinner with André, he was so excited that he helped Louis Malle procure production funding from Gaumont. The film, an encounter between the two writers playing themselves discussing mortality, money, despair, and love over a meal at an upper west side restaurant (according to Gregory, Malle’s one direction was “Talk faster”), becoming a sensation at the art house, playing to packed houses for a solid year, and a favorite on the brand-new home video circuit. My Dinner with André is entertaining, confessional, funny, moving, and suffused with melancholy and joy…like life. Pierre developed a special love for Asia and its many cinemas, and he was the one who properly introduced the great wuxia master King Hu to the west, bringing the uncut version of his masterpiece, A Touch of Zen, to the 1975 Cannes Film Festival. Supreme fantasist, Ming dynasty scholar, and incomparable artist, Hu elevated the martial-arts genre to unparalleled heights. Three years in the making and his greatest film, A Touch of Zen was released in truncated form in Hong Kong in 1971 and yanked from theaters after a week. Four years later, after Rissient saved the film from oblivion and it won a grand prize for technical achievement, the unthinkable occurred: King Hu received an apology from his studio heads. Pierre was close to many of the American writers and directors who had been through the blacklist, including Jules Dassin, Abraham Polonsky, John Berry, and Cy Endfield, and he was a great admirer of the films of Joseph Losey (his feelings about the man himself were another matter). Rissient was crucial in bringing attention to this consummately tense noir, one of Losey’s greatest films. The narrative, unfurling at a breakneck pace, chronicles the plight of a recovering alcoholic (Michael Redgrave) with a mere 24 hours to prove the innocence of his son, accused of murdering his girlfriend. The first film that Losey signed with his own name after his flight to Europe in the early ’50s, Time Without Pity established him as an essential auteur in the eyes of French cinephiles. When Clint Eastwood won his first Oscar, in 1992 for Unforgiven, he thanked “the French” for their support. But it was one French citizen in particular who was there from the start of his career as a filmmaker. Eastwood’s first film, about a casual romantic encounter between a Northern California DJ (played by the director) and a woman named Evelyn (Jessica Walter) that turns harrowingly obsessive, is an essential film from an essential moment in cinema known as Hollywood in the ’70s. While the film was well-received, it was Pierre who recognized that Play Misty for Me marked the debut of a truly distinctive talent. From there, a close and abiding friendship bloomed. When we gave this film a run at the Walter Reade Theater in 2002, Pierre was only too happy to provide a simple but eloquent quote: “Air…space…light—that’s Mother India.” This seminal Bollywood film, a remake of Khan’s earlier Aurat (1940), is about the trials and tribulations of Radha (Nargis), a poor villager caught in the historic whirlwind of the struggles endured in her country after gaining its independence from Britain. Striving to raise her sons and make ends meet in the face of poverty and natural disasters alike, Radha endures through the strength of her convictions and her unflappable sense of morality. Mother India is a powerful experience, for both its place in film history and its incarnation of human resilience. There were few filmmakers whose work Pierre revered more than Fritz Lang, whom he counted among his friends. When Lang came to the Cinémathèque Française for a retrospective of his work in the late 1950s, Pierre and Claude Chabrol asked him about this wild gothic period melodrama, made at Republic Pictures, starring Louis Hayward and Jane Wyatt, a print of which could not be found and which was still unseen in France. Lang, said Pierre, “could describe shot by shot the first ten, twelve minutes of the film. It was almost as if we were seeing the film.” Pierre not only found a way of seeing House by the River, he acquired the rights and distributed the film himself. In this year’s retrospective section, we also include three special and very different documentaries about the movies: a lament for Viennese film critic and festival director Hans Hurch, a portrait of the great cinema pioneer Alice Guy-Blaché, and a tribute to Ingmar Bergman. One of Alice Guy-Blaché’s most beautiful films, this two-reeler concerns a girl who tries to keep her consumptive sister alive by magical means. Music composed and performed by Makia Matsumura. A collaborative restoration for the Alice Guy-Blaché retrospective at the Whitney Museum of American Art. Mastered from a 2K scan of a surviving nitrate print received by the Library of Congress in 1983 from the Public Archives of Canada/Jerome House Collection. 2018 Digital restoration produced by Bret Wood for Kino Lorber, Inc. The new film from Gastón Solnicki (Kékszakállú, NYFF54) is a tribute to his great friend Hans Hurch, one-time film critic and assistant to Jean-Marie Straub and Danièle Huillet, and director of the Vienna International Film Festival from 1997 to his unexpected death from a heart attack last July at the age of 64. Solnicki pays tribute to Hurch by creating a cinematic form for his own mourning. He doesn’t simply visit his friend’s old haunts, he responds rhythmically, in images and sounds, to Hurch’s recorded voice delivering admonitions and gentle warnings during the editing of an earlier film. Introduzione all’Oscuro is truly a work of the cinema, and a moving communion with a friend whose presence is felt in the memory of the places, the people, the coffee, and the films he loved. On the occasion of Ingmar Bergman’s centenary comes this lovely, personal film from one of his greatest admirers, Margarethe von Trotta. This is a tribute from an artist with a such a deep affinity for the subject that it opens to genuine and sometimes disquieting inquiry. In his writings and in his films, Bergman himself strove for an honest accounting and true self-revelation, but it is fascinating to hear and see the observations of loved ones and collaborators (often one and the same), particularly his son Daniel, whose relationship with his father was multi-layered. A rich and quietly absorbing portrait of an immense artist. An Oscilloscope Laboratories release. Passes for the 56th NYFF, taking place from September 28-October 14 at the Film Society of Lincoln Center, are now on sale. Single tickets go on sale on September 9.